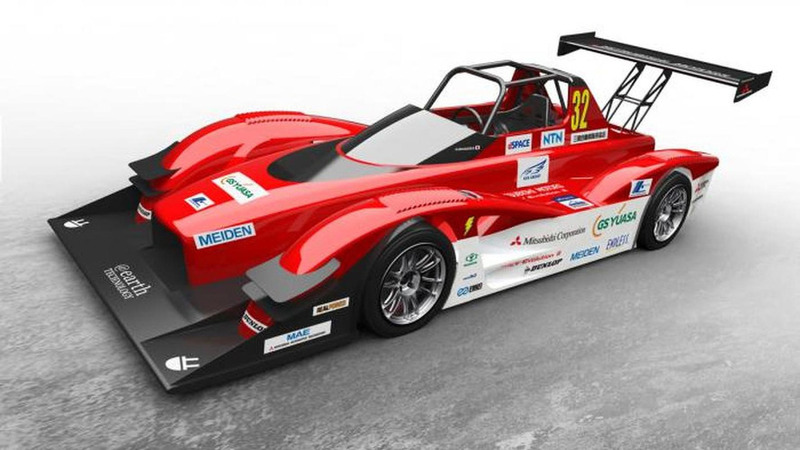 Mitsubishi has unveiled the MiEV Evolution III, ahead of its debut at the Pikes Peak International Hill Climb. 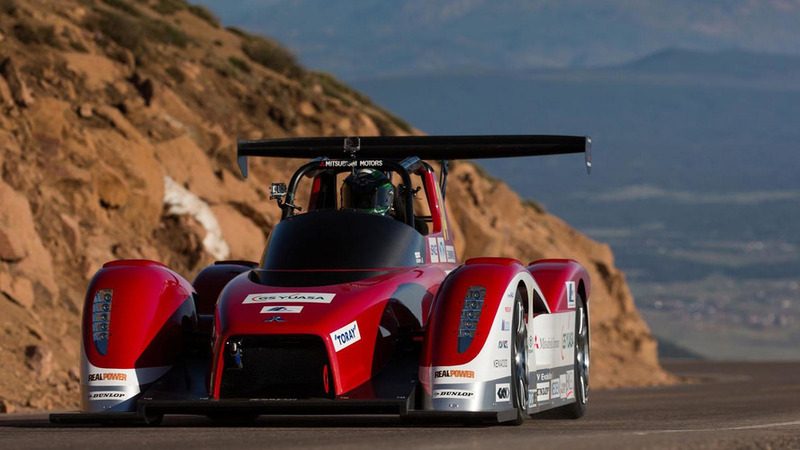 Mitsubishi has released new details about their MiEV Evolution II race cars that will compete in the Pikes Peak International Hill Climb. 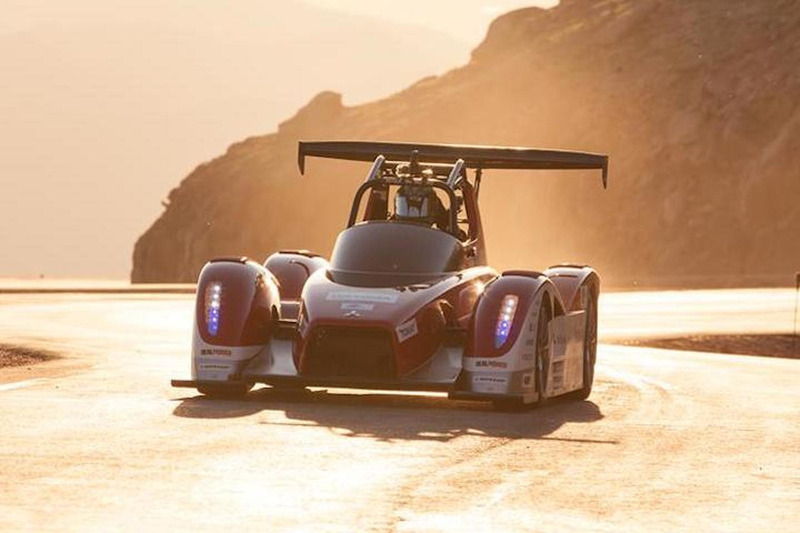 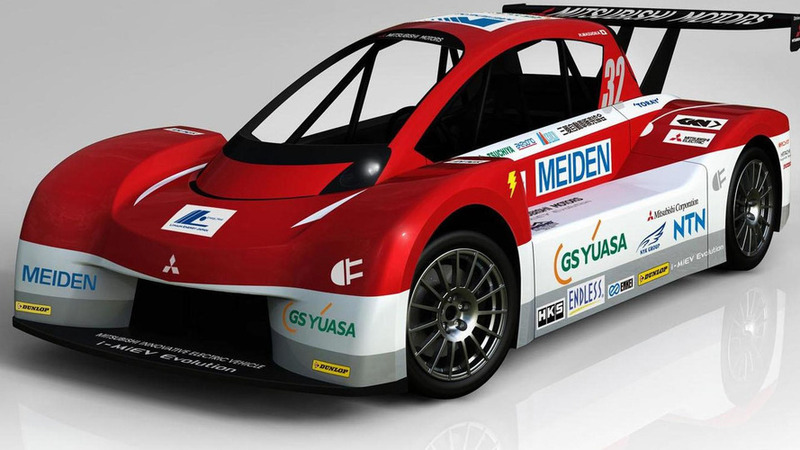 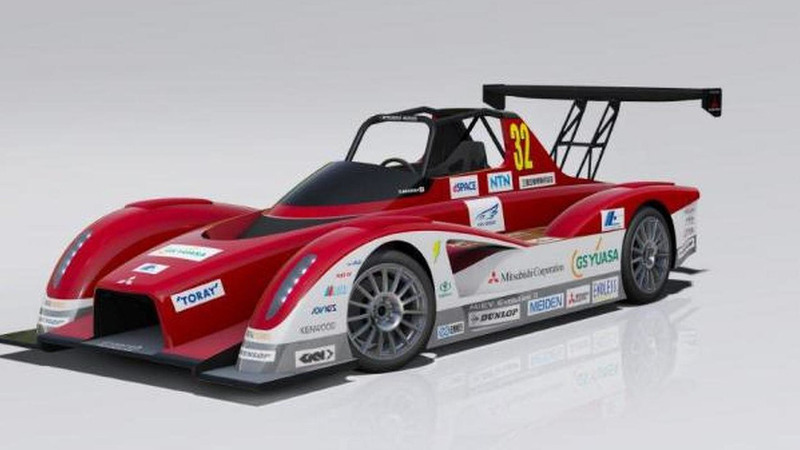 Mitsubishi has revealed plans to race the MiEV Evolution II electric prototype at 2013 Pikes Peak International Hill Climb. 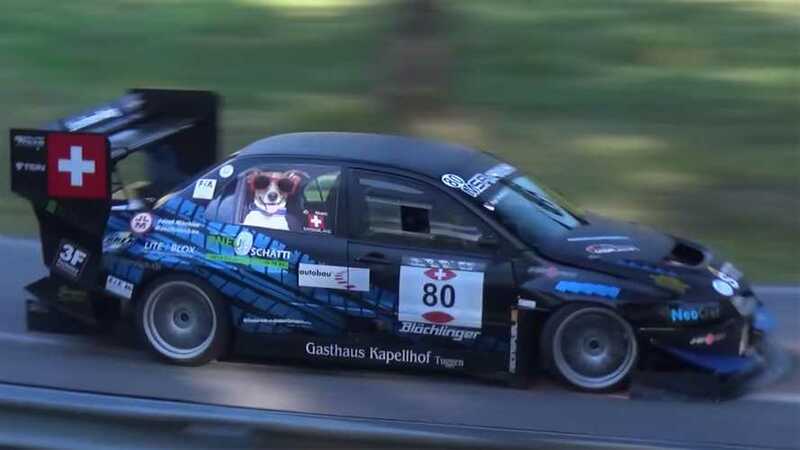 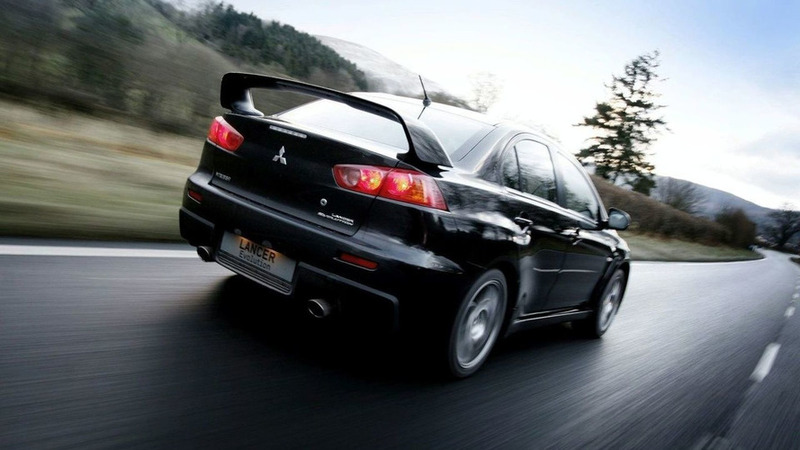 Driving a Mitsubishi Lancer Evo IX R4 at speeds of more than 200 km/h on an extremely tight forest road. 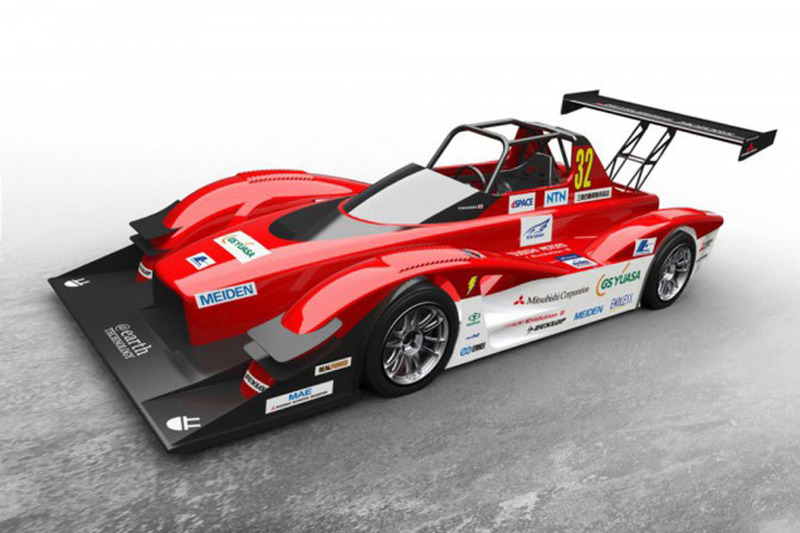 Mitsubishi has unveiled the i-MiEV Evolution, ahead of its racing debut at the Pikes Peak International Hill Climb. 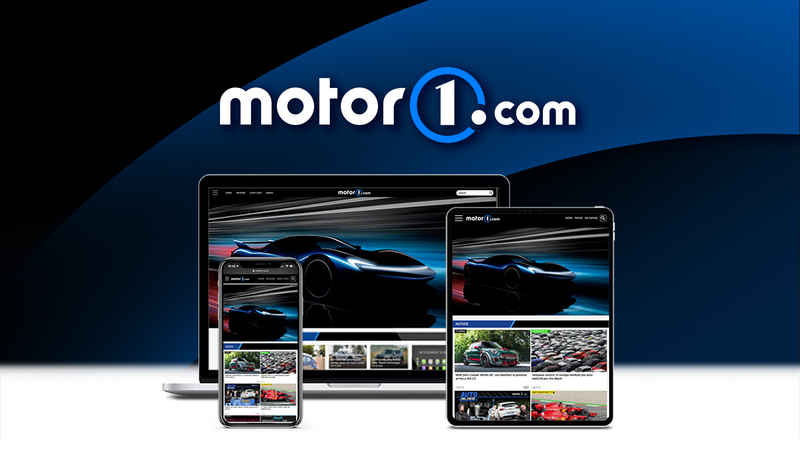 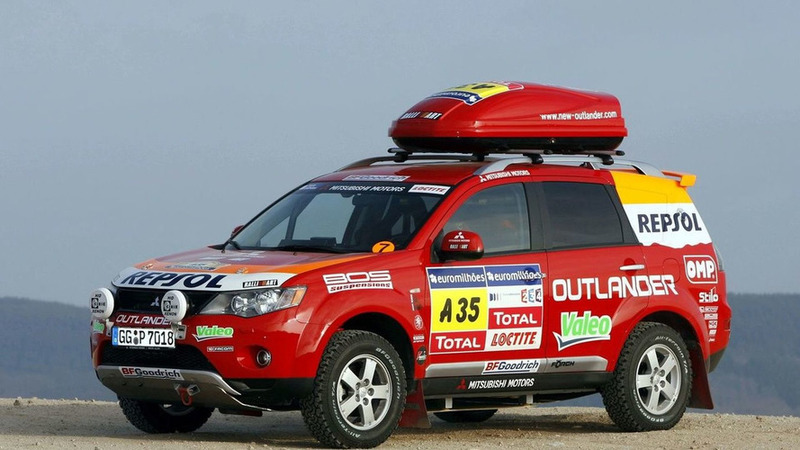 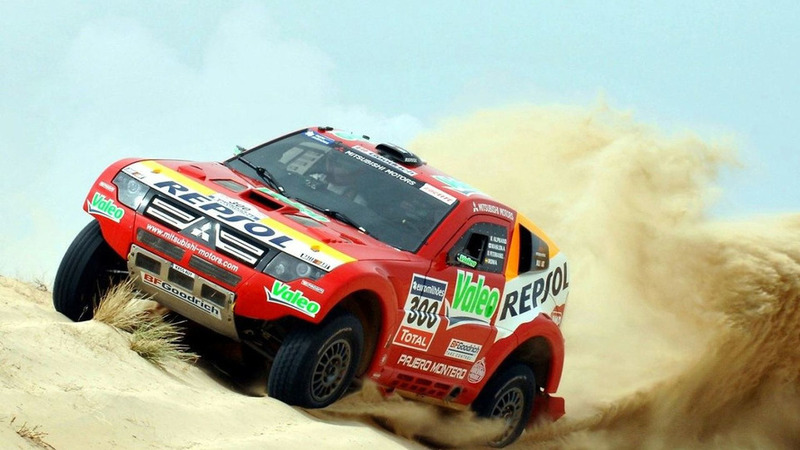 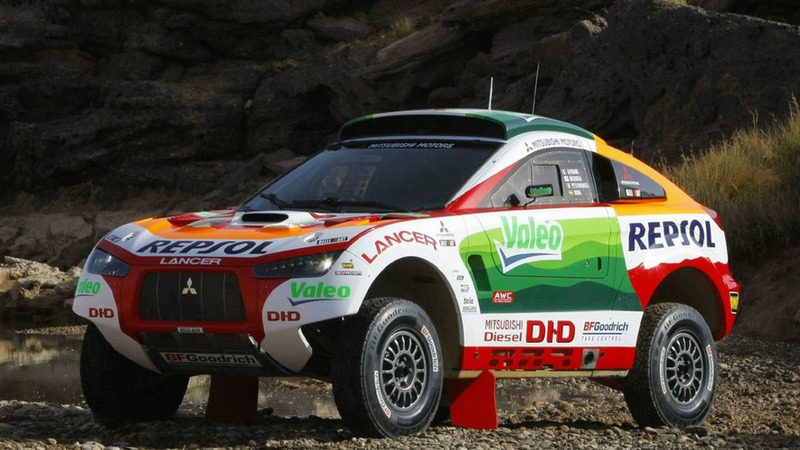 Citing corporate belt-tightening due to the financial crisis, Mitsubishi announced that it will not participate in the Dakar Rally or any other cross-country rallies in 2009. 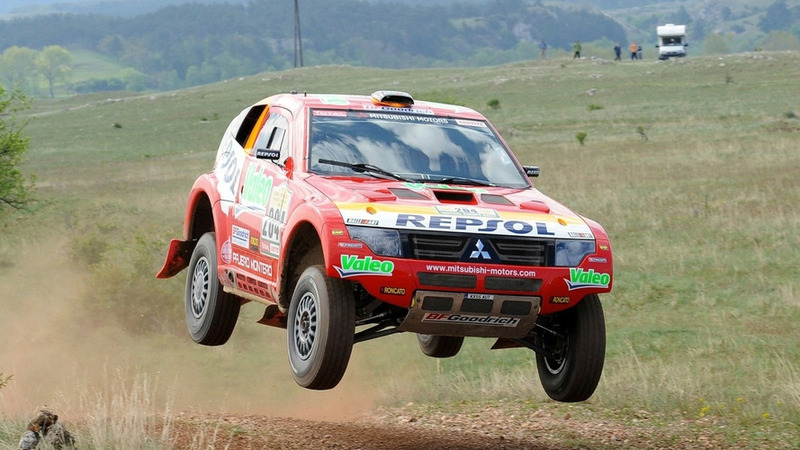 Mitsubishi will debut their new turbodiesel Racing Lancer at Portugal's Baja Portalegre race on October 30. 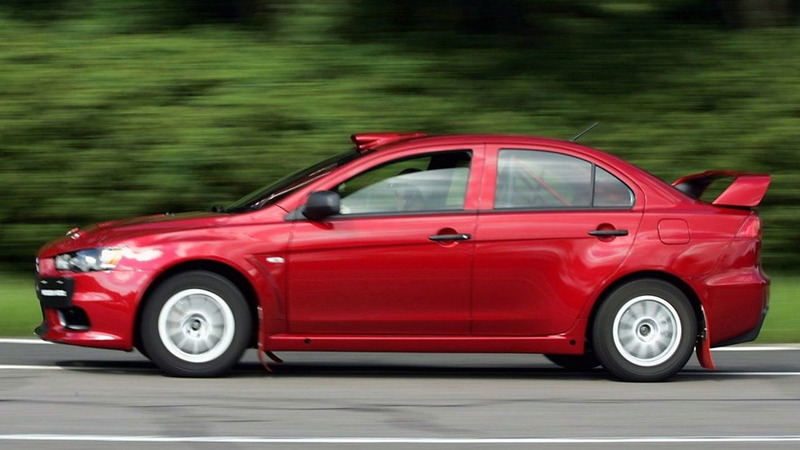 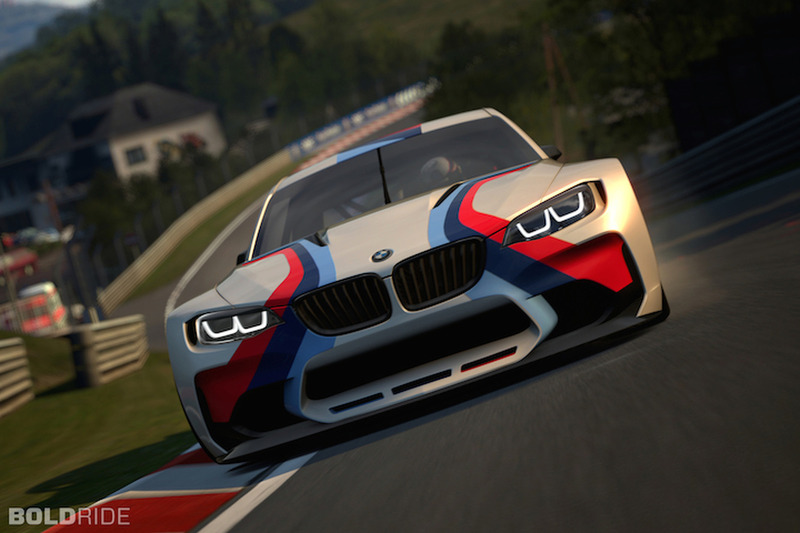 The all-wheel-drive FQ400 would slice through 60mph in 3.5 seconds and reach a top speed over 170mph. 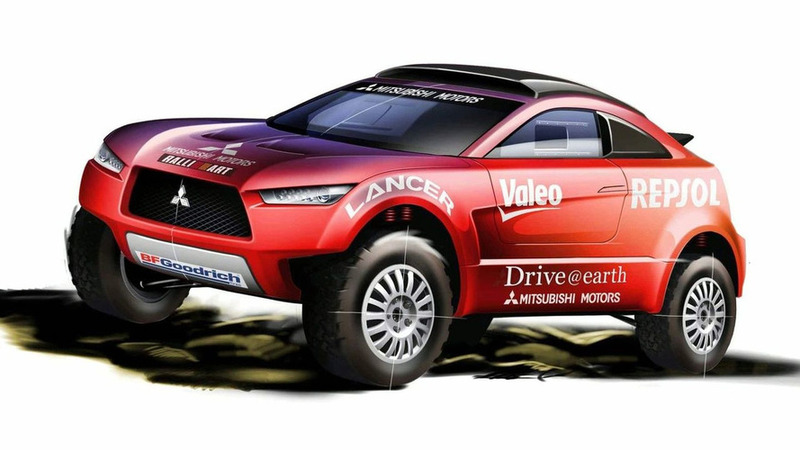 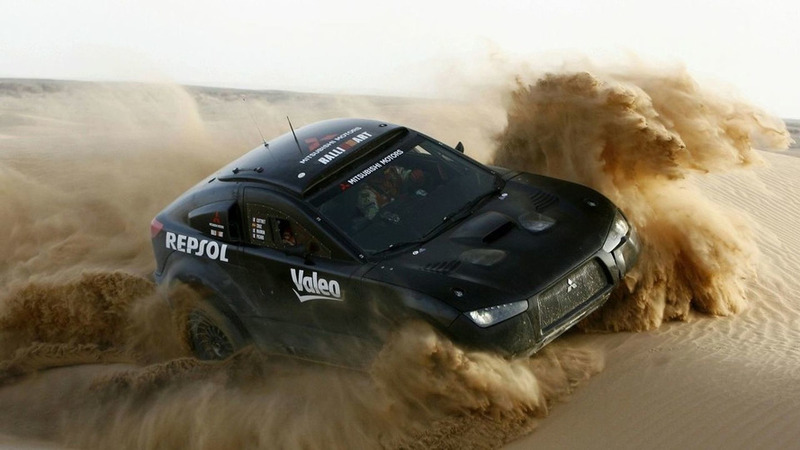 Mitsubishi's Racing Lancer still has some way to go before taking Dakar 2009 by storm, but giant strides have already been made.Here's a first look at it. 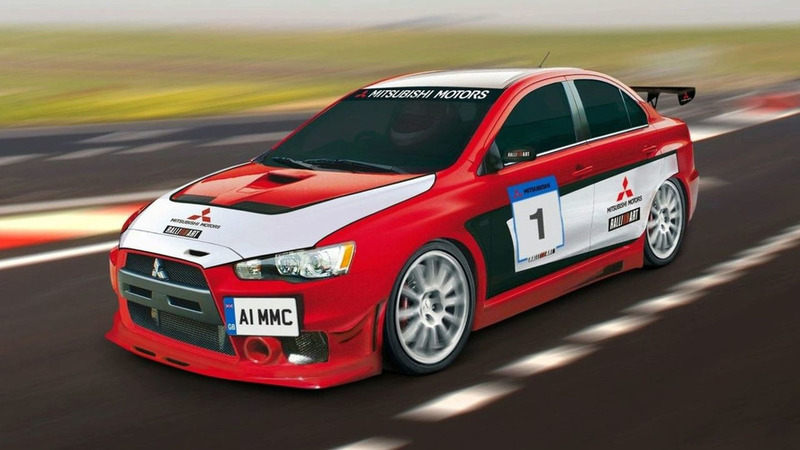 In the upcoming Japanese round of the FIA WRC, or just Rally Japan, the brand new Mitsubishi Lancer Evolution X will be testing the track as a Course Car.